Move could help ride-sharing service in anticipated IPO plan. Dara Khosrowshahi, Uber’s CEO and Toyota EVP Shigeki Tomoyama shake over their new alliance. Toyota confirmed reports it will invest $500 million in Uber and partner with the nation’s largest ride-sharing service on the development of the autonomous and fully driverless vehicles Uber believes will slash its costs and make it a viable alternative to personal vehicle ownership. The announcement comes barely a week after Uber wrapped up its search for a new chief financial officer, something that, along with the new Toyota alliance, could help move closer to a widely anticipated IPO. The Japanese maker’s investment puts a value of $72 million on Uber. Relatively late to the party when it comes to setting up its own autonomous vehicle research program, the carmaker has been ramping its efforts over the last few years through the Toyota Research Institute. It showed off a concept vehicle, dubbed e-Pallette, at the Consumer Electronics Show last January that could be used for a variety of purposes ranging from a driverless shuttle to a robotic delivery vehicle. 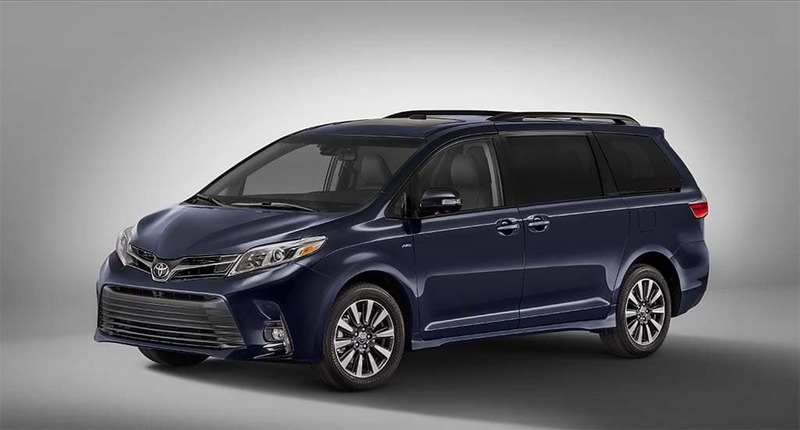 The new partners plan to start field-testing an automated Toyota Sienna minivan by 2021. Uber and Toyota said they will share research and development efforts on self-driving technologies and move quickly towards putting vehicles into real-world use. The choice of the Toyota Sienna appears as the focus of the partnership seems more than coincidental to the fact that Google spin-off Waymo is using a Chrysler Pacifica Hybrid minivan for its own pilot self-driving ride-sharing service. That could become a major competitor to Uber in the coming years. As for timing, the partners said “pilot-scale deployment will begin in 2021.” That could be slower than some had hoped, but it appears to firmly put Uber back into the self-driving vehicle game after the major setback it suffered last March, when a prototype Volvo SUV using Uber software and sensors struck and killed a pedestrian in the Phoenix suburb of Tempe. The service briefly halted on-road development efforts but has since resumed that project on a more limited scale, operating near its autonomous research center in Pittsburgh. 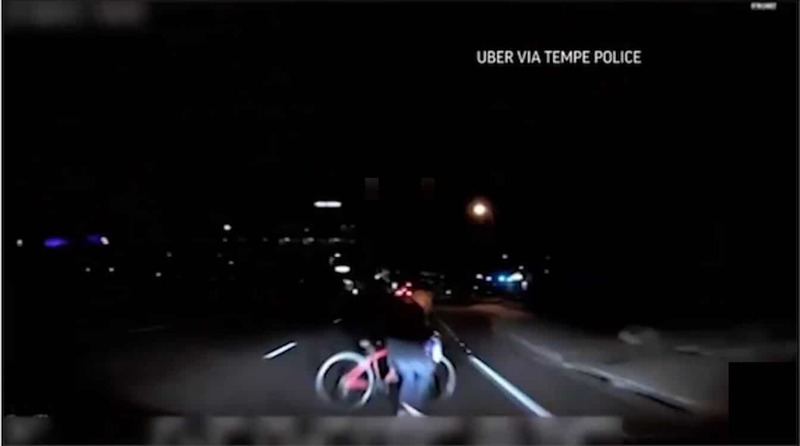 The Tempe (Arizona) Police Department released this video footage of Uber's fatal March crash. Even so, there have been several reports in recent weeks suggesting that at least some key investors, and even some Uber board members, have been pressing to abandon the self-driving research program. Dara Khosrowshahi, Uber’s CEO, has resisted, however. Like his predecessor and Uber co-founder Travis Kalanick, Khosrowshahi sees fully driverless vehicles as critical to Uber’s future. That’s backed by research from the likes of the Boston Consulting Group that contends that by removing the driver – the most expensive piece of Uber’s operating expenses – from the vehicle will drive costs down so low that many Americans would be able to use the service for less money than it costs to own a personal vehicle. “Our goal is to deploy the world’s safest self-driving cars on the Uber network, and this agreement is another significant step towards making that a reality,” Khosrowshahi said in a joint statement with Toyota. The automaker’s investment has another apparent benefit, lending a vote of confident to a company that has been shaken by a number of issues and controversies over the last several years, including several that led to Kalanick’s departure. But the Japanese automaker isn’t the only one still willing to bet on Uber. Japan’s SoftBank led a consortium pumping cash into the ride-sharing service earlier this year, SoftBank becoming Uber’s single largest investor. But in the strange-bedfellow world of alternative mobility, SoftBank has also put $2.25 billion into General Motors’ Cruise Automation subsidiary which is working on a self-driving version of the Chevrolet Bolt EV and other GM products. The Detroit automaker itself operates the Maven vehicle-sharing service but has also acquired a major stake in Uber competitor Lyft. This entry was posted on Tuesday, August 28th, 2018 at and is filed under Automakers, Automobiles, Autonomous Driving, Business, Chrysler, Earnings, Financials, Investors, Lyft, Maven, Ride-Sharing, Safety, Semi-autonomous Driving, Technology, Technology, Toyota, Traffic Fatalities, Uber, waymo. You can follow any responses to this entry through the RSS 2.0 feed. Both comments and pings are currently closed.